That is too much power for one federal agency. That is putting the fox in charge of guarding the chicken coop. It is very telling that Congress and the U.S. Supreme Court have declared that vaccines are “unavoidably unsafe” and completely shielded drug companies from vaccine injury lawsuits. 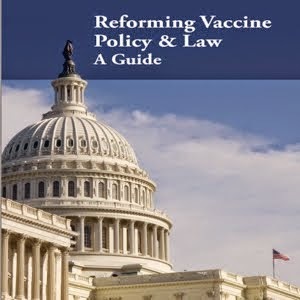 31 32 In America, if you or your child gets hurt by a vaccine, you can’t hold anyone who developed, regulated, recommended, marketed, mandated, administered or profits from the vaccine accountable in a civil court of law in front of a jury of your peers. The recent statement by a CDC senior scientist admitting that vaccine risk data is being withheld from the public is just one more piece of evidence that parents’ questions and concerns about vaccine safety are legitimate. Congress should act now and take vaccine safety monitoring away from DHHS. The health of our children is at stake. Contact your U.S. Senator and Representative today and tell them you want something done about conflicts of interest in the nation’s vaccination system. 33 34 If your child’s health has been harmed by vaccination, tell them about that too. 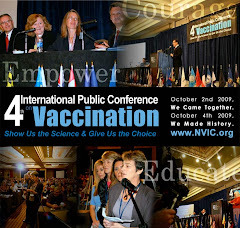 Go to NVIC.org and learn more about making informed vaccine decisions and protecting your informed consent rights.